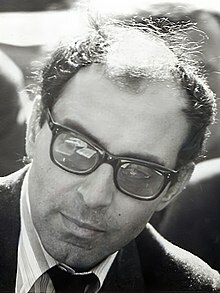 Jean-Luc Godard (French: [ʒɑ̃lyk ɡɔdaʁ]; born 3 December 1930) is a French-Swiss film director, screenwriter an film creetic. He rose tae prominence as a pioneer o the 1960s French New Wave film muivement. ↑ Grant 2007, Vol. 4, p. 235. This page wis last eeditit on 18 Mairch 2018, at 19:32.